See more of Las Vegas and Nevada for Less. 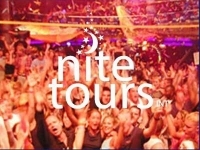 Browse are selection of Tour discounts. If you have not seen the Grand Canyon, Hoover Dam, or Las Vegas by helicopter. You can and for less! Use the discounts below to find the best tour for you. 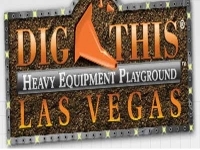 In the Dig This tour, you get to operate a state-of-the-art bulldozer or hydraulic excavator. Don't miss out on the fun of rolling gigantic boulders across the dirt, excavating trenches, stacking tires and playing "excavator basketball." Save the most at Dig This when you book online today. 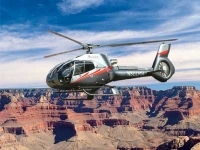 Canyon Dream is an airplane and helicopter tour to Grand Canyon's stunning South Rim. You'll see awe-inspiring view of notable South Rim landmarks, including Tower of Ra and Kaibab National Forest. Book your package today. Nothing compare to a view of Vegas from the basket of a hot air balloon on this sunrise tour. 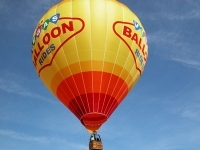 Book a balloon ride over Vegas online and save. Club Crawl is a hotspot with long line. Skip them & get VIP treatment. And Party! Get the lowest prices when you book online. Packages start at $19 before taxes and fees. 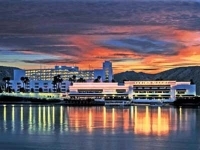 Visit scenic Laughlin, Nevada for the day for only $12 when you book online. This price reflects a savings of over $18! Book a tour of the Vegas Strip online. See savings of up to $30, with tickets starting at just $39 before taxes and fees. Book your trip to Los Angeles via Lux Bus. The best price and savings are to be had online. Starting at $70 before taxes and fees. Online booking saves you money. Book the Area 51 VIP tour and save over $20 off the regular price of $204. Ticket prices drop from $204 to $184 before taxes and fees. 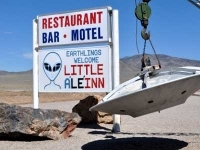 The Area 51 Tour is perfect for UFO enthusiasts! Explore the unusual ancient Indian petroglyphs that resemble aliens. Then, take a ride down beautiful drive along the "Extraterrestrial Highway" on your way to some more extraterrestrial sites! Book online today. 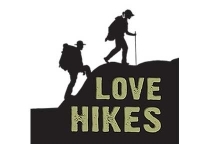 Explore the Valley of Fire State Park in the Love Hikes excursion. Your choice of three trails varying in intensity but equal in spectacular scenery. Online booking is the way to get a discount. 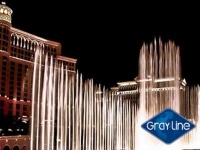 Book a Grayline tour online and save on different packages. The basic package starts at $89, but you can add an IMAX movie, a pink jeep tour or even a helicopter ride. Savings of up to $125. 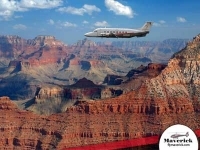 On the Grand Canyon Explorer, you'll catch sight of the Southwest desert scenery aboard a Beechcraft 1900D aircraft. You wont get better views of the Grand Canyon's South Rim. Save when you book Today! 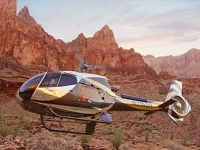 The Soaring Eagle is an aerial excursion over Hoover Dam, Lake Mead, Fortification Hill, Temple Rock, Boulder City and the Colorado River as you head for the star attraction -- the Grand Canyon. You'll experience the most stunning views. 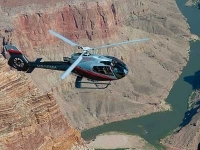 Save money on a Grand Canyon air tour by booking online. 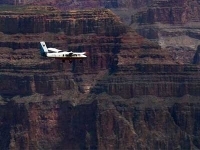 Fly a Cessna Caravan airplane to the West Rim of the Grand Canyon. 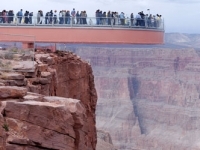 Then, experience the Skywalk, an engineering marvel suspended more than 4,000 feet above the Colorado River. Book this unique experience today! 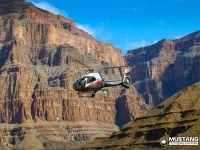 Grand Canyon Adventure is a flight experience you won't forget! Enjoy the beauty of the Hoover Dam, Lake Mead and Fortification Hill, an extinct volcano. Then descend and land 3,500 feet into the bottom of the Grand Canyon! Book Online To Save! Enjoy spectacular views of Boulder City, the Hoover Dam, Lake Mead, and extinct volcanoes in this exclusive EC-130 helicopter tour. This is an unforgettable experience you don't want to miss! Save $30 per person off list prices when you book online. The Maverick Foodie Tour is a walk through some of the best restaurants in Vegas. 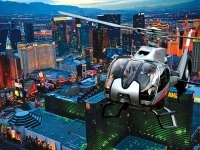 Top this foodie heaven with a breathtaking flight over the Las Vegas Strip! Book online to save off published prices on a foodie tour. Enjoy the beauty of the Grand Canyon and the Colorado River. A breathtaking will take you 4,000 feet below the rim where you can explore the activities on the canyon floor. Book Now. Enjoy a bird's eye view with the Silver Cloud Tour! Fly over Lake Mead, Hoover Dam and the Grand Canyon, and, of course, the Strip. Online Booking Now Available. Count’s Kustoms Car Tour takes you to the home to the hit tv series “Counting Cars” on History channel, where you get to check out true one-of-a-kind masterpieces. Don't forget your camera. Booking online will save you on a Count's Kustoms Car Tour. The Indian Territory is an exhilarating and educational flight over Lake Mead, Hoover Dam, extinct volcano Fortification Hill and the Grand Canyon. You won't want to miss this view of the Bowl of Fire! Booking online will save you money. 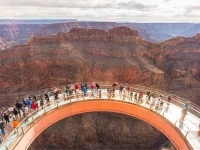 More than 4,000 feet above the Colorado River, and extending more than 70 feet away from the edge of the West Rim., The Grand Canyon's Skywalk is an engineering marvel. 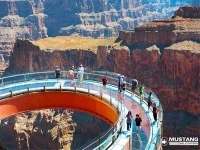 This package includes a helicopter flight to the canyon and a private vehicle to the Skywalk bridge. Prices start as low as $574. At night, Las Vegas lights up like a dream. 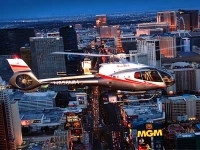 The Vegas Nights is a luxury flight over the neon strip.Book online to see $25 savings on the Vegas Nights Tour. See a savings of $25 when you reserve a seat online. Get the low price of $99 before taxes and fees when you book today. The Pawn Stars Vip Tour is the ultimate excursion for tv enthusiasts! A behind the scenes look of your favorite Las Vegas-based reality TV shows, including "Tanked," "American Restoration," "Counting Cars," "Toy Shack" and "Pawn Stars." Book your tickets here for the Gold and Silver Pawn Shop Pawn Stars VIP Tour and you'll save up to $10 per ticket. 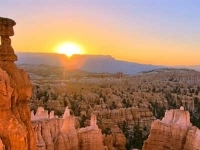 Zion & Bryce Overnight Walking Tour is two day of exploration of the beautiful Bryce Canyon and Zion National Park. A great journey into the wilderness. For the most discounted rate, book online. 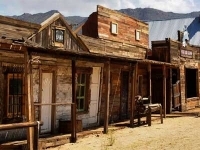 The Wild West Ghost Town Explorer Tour will test your belief in the paranormal! Explore the deserted towns of Chloride, Oatman and El Dorado Canyon. Take a Ghost Town tour and rack up some scary savings if you book online. Booking online is the way to $25 savings. It's a great deal on a Grand Canyon tour. Reserve your spot on the Visionary Air Tour today and save. You'll receive up to 30% off when you book online with this offer today! Enjoy stunning views and a champagne brunch or dinner. 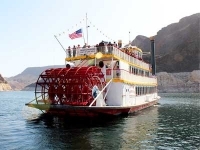 This Lake Mead cruise offers enchanting views of the surrounding red and gold-colored mountains. Get the best rates when booking online. 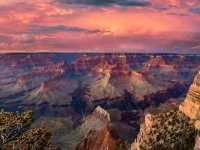 On the Grand Canyon South Rim VIP Tour, you'll get to roam the scenic Rim Trail and spend 3 hours in the national park. Don't miss these views. Save $20 per person with online booking. Book a Grand Canyon VIP Tour Online and save $30. The regular ticket price of $229 is discounted to $199 plus taxes and fees. 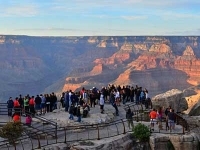 On this Grand Canyon West 5 in 1 Tour, you'll get to see the the Hoover Dam, the 900-year-old Joshua Tree Forest, the Skywalk, the Eagle in the Rock and stunning views from Guano Point. Save $20 per person with online booking. 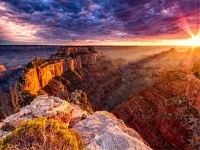 Save up to $30 on Grand Canyon tours by booking online. 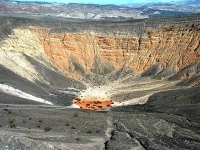 The low price of $259 is for the Grand Canyon 5 in 1 Tour only. 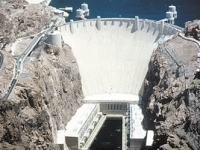 The Hoover Dam Vip Tour is the best way to view the the interior of the dam, including the generator room, and access to locations overlooking Lake Mead. A once in a lifetime adventure! 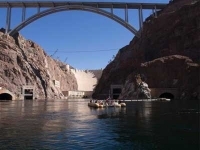 Book online to save $10 on a Hoover Dam VIP tour. Get a low ticket price of $79 off the usual $89 price. The Hollywood Tour starts with a scenic ride through the high desert, dry lakes, mountain ranges, and the southern end of Death Valley. Then, you'll send a full day exploring Hollywood, CA. Book a tour at $20 off to Hollywood from Las Vegas today. Save the most by booking online today. 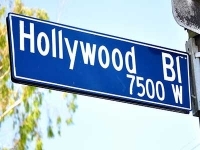 Get a $25 discount on a Hollywood tour from Las Vegas with the low price of $214 plus taxes and fees. 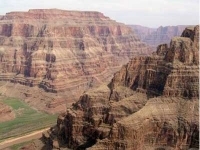 The Grand Canyon West 6 in 1 Tour is the best way to soak in the natural beauty of the canyon! Spend 4 whole hours on the West rim. Save $20 when you book this tour online today. 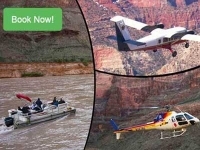 Save $30 on the Grand Canyon 6 in 1 Tour. A low price of $259 before taxes and fees when you book online today. Explore the breathtaking Virgin River Gorge and the beautiful red cliffs of St. George, Utah on your way to the Zion Mountains. 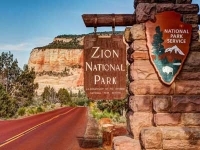 Tour Zion National Park and save $20 when you book online. Book a tour of Zion National Park for $204, a savings of $25 off list price. You must book online to see these savings. 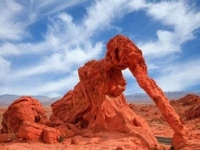 If you come to Vegas, you've got to check out this natural wonder! A champagne picnic served under a Native American ramada is included on this Grand Canyon Tour. Book Today! 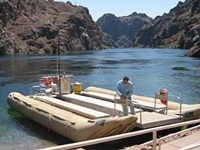 Experience waterfalls, hot springs, geological wonders and wildlife on the Black Canyon River Adventure Tour. Don't miss this fully narrated and historic raft tour. Booking online is the easiest way to save on your adventure. 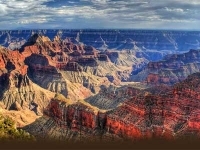 Don't miss seeing majestic natural beauty of the Grand Canyon's West Rim! You can see the Grand Canyon from the air and save $30 with online booking. Don't miss your chance to go River Rafting Down Black Canyon. Enjoy plenty of sunshine and spectacular scenery. Book Online for your River Rafting Adventure. 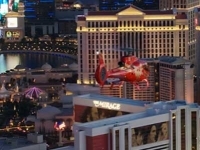 The Jack Of Lights is an extraordinary "over the top" helicopter tour of the Las Vegas Strip. Don't miss out on this luxurious experience. 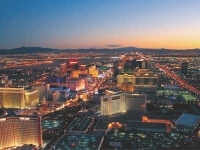 Take a tour of the Strip at night and see all the lights and save $15 in the process. 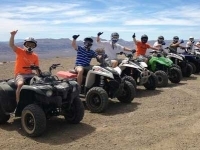 Explore the Mojave Desert on this ATV tour. Don't miss this two-hour ride through the rugged desert and mountain terrain. $25 online savings if you book today! Don't miss your chance to see this natural wonder! Book a Grand Canyon tour online and save some cash. Book Today! You can't miss experiencing this natural woner when you come to Vegas. AGrand Canyon tour is a must! Book Now! 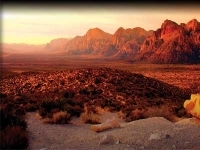 Enjoy the natural beauty of nearby Red Rock Canyon. Sites include the fossilized sand dunes of the brilliantly colored Calico Hills. Save the most when you book online today. Don't miss out on exploring this National Historic Landmark and engineering wonder of the world. A Hoover Dam Tour is made more economical when you book online. Book online for the lowest rates and fastest service. Use this link to grab the best deal. Fly over the city of neon and catch glimpses of Stratosphere Tower, Caesars Palace, the Bellagio fountains, the Luxor pyramid and the skyline of New York New York. Booking online is the way to save. Save $33 off the regular list price for a $69 ticket before taxes and fees. 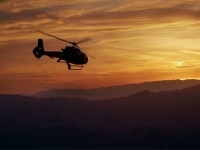 In the luxurious Sundance Helicopter Escape tour, you'll soar over the sites. Save online when you book your Escape to the Grand Canyon. Book Today! 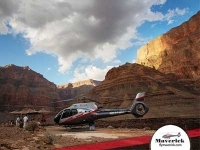 This Grand Canyon Picnic Limo Tour ticks every box. Luxury, comfort, breath taking views! Booking online is the best way to save on Grand Canyon Tours. Save $30 per person with online booking. Death Valley is home to the lowest point in the US, Badwater Basin, which sits 282 feet below sea level. You will see bizarre plant life and ghost towns on the way. It's weird but alluring! 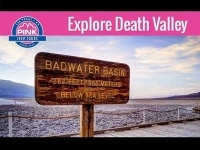 A Death Valley Tour from Las Vegas can be booked online. Online savings feature an exclusive $25 discount. Book a tour today starting at $184 before taxes and fees. 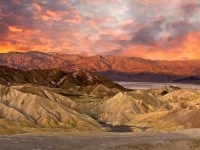 Take a Death Valley National Park Tour at a discount of up to $35 when you book online. Rates start as low as $204 per person. Booking a Bright Lights tour online can save you money. Make your reservation today and save with rate from just $81 before taxes and fees. 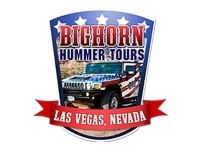 Save now by booking a Big Horn Hummer Tour online. 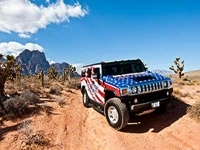 Tour Death Valley in a hummer for as low as $269 before taxes and fees. Nothing compares to off-roading through the Mojave Desert in a Polaris RZR XP1000. Train to drive like an expert. 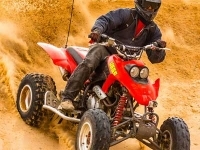 Then travel the twisty sand-washes and high-speed trails of the unspoiled desert. Book online to get a great deal. Save your money and your time when you book online. Act now for the best savings with rates as low as $259. Speed down Las Vegas on a Segway PT! 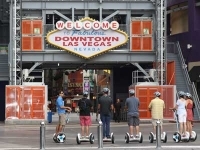 Choose one of three Segway tours to explore the bright lights of downtown Vegas. Online booking will give you savings on the list price. The Valley of Fire Natural Wonders Tour is the best way to explore Nevada's oldest state park, the scenic Valley of Fire. You get to customize your experience and choose which off-road trail you want to travel! Save the most when you book online. 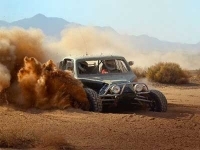 If you crave speed, then Vegas Mini Baja Chase is for you! 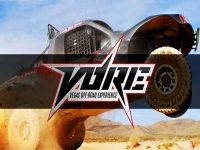 Race a custom-built mini Baja dune buggy over the Nellis Dunes. It's a drive you won't forget! Book online to see greater savings. Book online to save $59 off list price and get one free lap too! Prices start as low as $98. 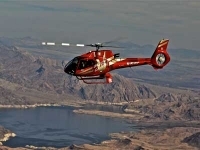 Fly over Fortification Hill, Lake Mead and the Hoover Dam on this wonderful helicopter tour. 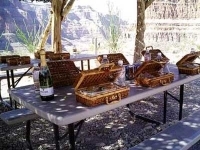 Then, have a champagne picnic in the Grand Canyon! Book online to save up to $75 off your tour. Don't miss out on getting a bird's eye view of the Grand Canyon. 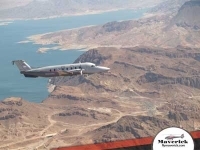 In this private flight, you'll soar above Lake Mead, Hoover Dam and the Grand Canyon. 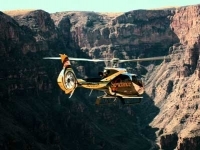 An air tour of the Grand Canyon is more economical when you book online. Your trip to Vegas won't be complete without seeing the breathtaking views of the Grand Canyon. Enjoy a helicopter flight over Hoover Dam, Lake Mead, and Fortification Hill, an extinct volcano. Enjoy the Grand Canyon even more when you save by booking online. The Free Spirit Tour goes 3,500 feet inside the Grand Canyon on the Hualapai Indian Reservation. Enjoy awe-inspiring views as you fly through the Black Canyon on your way back to the Las Vegas Valley. Book your tour online for the lowest price. Book online to see savings on this Grand Canyon tour. Save at least $80 off list prices when you book today. 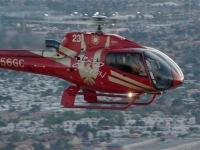 Western Journey is a a scenic helicopter tour over Lake Mead, Hoover Dam, Fortification Hill and Temple Rock. Then, explore the Grand Canyon's stunning West Rim. Save now by booking online. 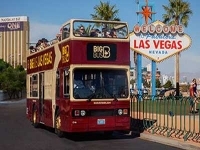 There's no better way to see the Las Vegas Strip and downtown than from atop a London-style double decker bus. You can explore the sites at your own pace as you hop off at more than two dozen stops to shop, eat and visit attractions! Tour Las Vegas on a Big Bus. Book online to save off the list price. Book a one day ticket for $43, but get the best savings on a three-day pass when you save $120, dropping the ticket price from $191 to a low $64! Premium and children's tickets are also discounted online. 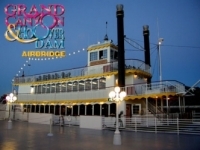 Panoramic Night Tour on Big B is discounted online in Las Vegas. Save $9 and get tickets starting at just $36. 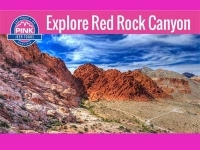 The Red Rock Canyon Tour is a leisurely lap of the 13-mile scenic trail. You won't want to miss it! Online discount price saves you $15. The Golden Eagle tour is the best way to see an eagle's-eye view of the awe-inspiring Grand Canyon. 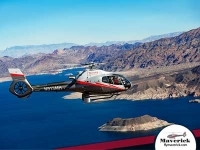 Soar effortlessly over the Canyon and view Lake Mead, Hoover Dam, Black Mountains, Grapevine Mesa, Bowl of Fire and the Grand Wash Cliffs in this helicopter tour. Save $30 off the published rates when you book online. Booking online is quick and easy. book online to save money. Rates start at $125 plus fees and taxes. A Valley of Fire tour is easy to book and save. Rates start at $130 plus fees and taxes. Red Rock Canyon is a beautiful natural attraction. You wont want to miss this stunning escape. Save $15 per person by booking online with this offer. You don't want to miss the ultimate Grand Canyon experience! 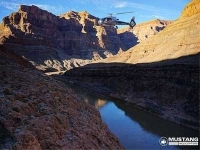 A helicopter ride for the 4000 ft descent into the canyon, a pontoon boat ride down the Colorado River and extraordinary views! 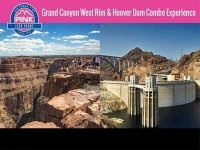 Reserve your tickets now to the Grand Canyon Combo tour to save. 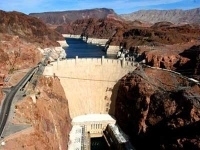 This is the best in-depth tour to Hoover Dam. You'll also stop at Ethel M Chocolate Factory and Botanical Cactus Gardens. Savings of $7 per person are valid online only. 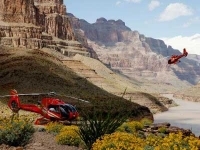 Visit an American natural wonder with the Sundance Helicopters All American Grand Canyon tour. Breathtaking views! Save the most when you make your reservation online today. Booking Online gives you the best ticket prices. Ticket prices drop from $540 to $405 when you book online. Death Valley is home to the lowest point in the US, Badwater Basin, which sits 282 feet below sea level. You will see bizarre plant life and ghost towns on the way. Online savings of $15 per person! 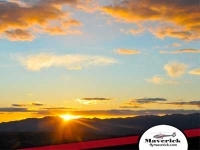 Grand Canyon Sunset Limo Tour is unforgettable! 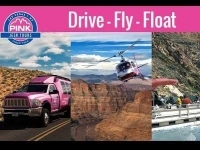 You wont regret this excursion!Book online to save money on a sunset limo tour of the Grand Canyon. 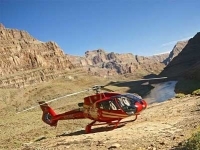 A helicopter ride to the Grand Canyon and a champagne picnic is included. 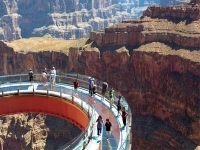 You don't want to miss the Grand Canyon Helicopter/Limo Skywalk Tour. Enjoy the views 4000 feet above the canyon floor. Book online to have a great adventure at a discount. 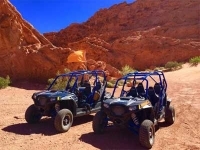 Enjoy a day trip to the Valley of Fire State Park. This 6-hour tour will take you to see the petroglyphs and unique rock formations in the Mojave Desert. Get the best savings when booking online. 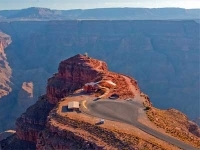 Get two great tours in one with this Grand Canyon and Hoover Dam package. You'll spend hours exploring these wonders! Save the most when you book your tour online today. 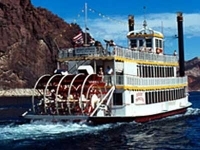 The Lake Mead Cruise and Hoover Dam Discovery Tour is a guided, narrated 7.5 hour tour to the Hoover Dam that includes a 90-minute cruise on the Desert Princess paddlewheel boat. A Perfect Day Excursion! Online rates reflect savings of $10 per person. 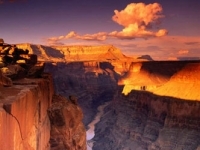 The Grand Canyon South Rim Adventure lets you explore the south rim and its geological features. Bring a camera on this one. Save $21 per person when you book online with this offer. Explore Guano Point with a leisurely walk. With an upgrade, enjoy a lunch with the Hualapai Indians that consists of three-bean turkey chili, coleslaw, corn on the cob, corn bread and either peach or apple cobbler. Save up to $10/person when you book today with this offer. 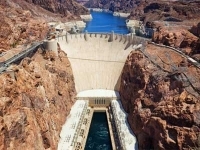 The Hoover dam is considered one of the wonders of the modern world. This is an informative tour with beautiful views! Reserve Your Seat Online! 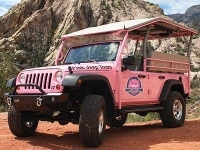 The Red Rock Canyon Rocky Gap Adventure Pink Jeep Tour a quick get-away from the noise and lights of the Strip. You don't want to miss this mini adventure. Book now! Booking online will save you time and money. Book now for the best prices! Save up to $161 on this tour. Save up to $161 with this special offer for the Grand Canyon West Rim Deluxe tour today! This tour is taken in a fully equipped deluxe motor coach. Trips start at 6:00am. 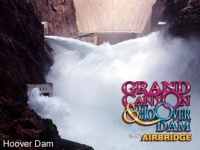 Get a Hoover Dam adventure for up to $26 off when you book online. 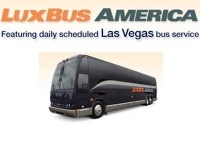 This Hoover Dam City Deluxe tour is provided by Grayline. Plus, book online and you'll get a free lunch at Hoover Dam Lodge. 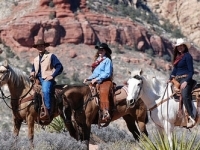 Enjoy a horseback ride and BBQ dinner at a discount price. Book online now to save. Book a horseback ride and a sunset BBQ online for savings. This is the best way to relax and enjoy the sunset while in Vegas. Don't have alot of time to spend? Reserve this express tour and save over $27 on the express tour today! See two great sites with this tour and save $15 when you book online today. Enjoy both a cruise and a dam tour.